Review Tuesday is dead. Long live Review Wednesday! But let’s ignore the fact I’m a day late and a dollar short and concentrate instead on why you should buy CS DeWildt’s new collection, Dead Animals. 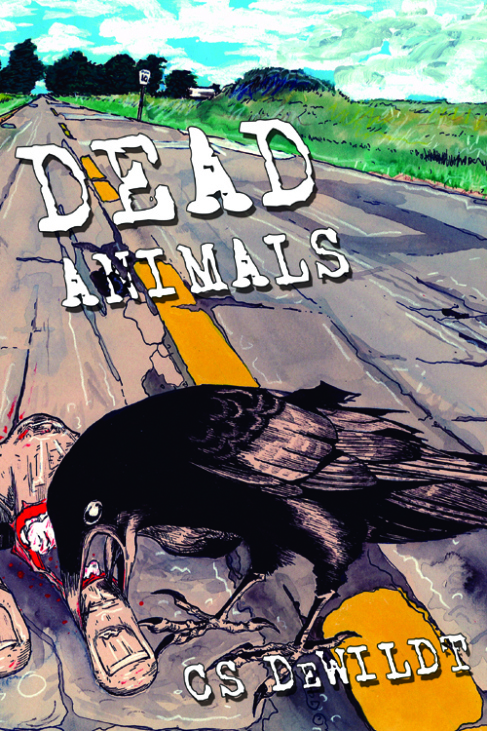 Dead Animals contains 34 stories that together could perhaps be loosely described as Rural Noir. They range in length from tightly written, punchy flash fiction that pops like green wood on a hot fire, to more expansive pieces that burn slower and hold their heat longer. There is grit here for sure, the kind that hangs in the heavy air of the American southwest and clings to the sweat on your sunburnt brow. But DeWildt offers much more than just a swift back country kick in the literary balls. He has a keen eye for the human condition; the abiding reality of his characters is testament to that. These flawed human beings have their own dark gravitational pull that draws you in and binds you to them. DeWildt then skillfully examines their fears and desires using stolen looks and sideways glances, before tearing them open and laying them bare on the page. It may be the characters that hook you, but it is the bleak and beautiful qualities of the writing that reel you in. The eerie “Bad Habits” and the gloriously wrong “Shakespearian Varity” are amongst some of the best short fiction I have read, period. But even so, it is hard to top “Corbin’s Dreams Take Flight” with its oddly enduring trailer-trash kids and compelling narrative. Okay, so let’s cut to the chase here. Chris DeWildt knows how to tell a story and he does it with prose that, at times damn near sings. This collection contains some outstanding fiction. It also contains gut-shot squirrels, smashed frogs and a badly burnt pigeon. Lovers of animals beware; lovers of great writing, rejoice.